At Dr. Carter's state-of-the-art dental practice, we provide a range of services to boost our patients' appearance, confidence, health, and total quality of life. We offer comprehensive care in a family-friendly and comfortable environment where all of our staff are highly trained and knowledgeable. We are dedicated, as a team, to serve each individual and to discover who they are and what their needs are. Through education and technology, we learn about our patients' current health and appearance in order to create a plan that will achieve their goals. To foresee and eliminate any problems which would cause stress or discomfort, we deploy a comprehensive, proactive approach, which promotes optimal health and beauty. We believe in a mutual commitment to each individual to be able to improve the comfort, longevity, and beauty of those we serve while performing all of our duties in a caring and compassionate environment. Dr. Carter has been practicing in this field since 1985 – that’s well over 30 years! 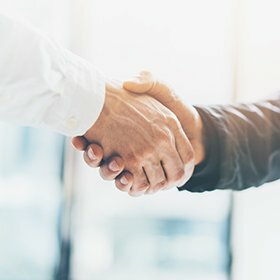 During that time, he’s developed an outstanding reputation for dentistry that’s not only clinically excellent, but dedicated and personalized to each patient’s unique needs as well. 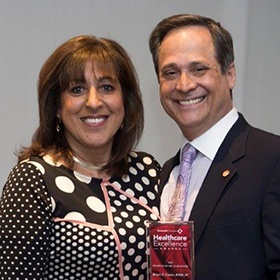 He has completed over 1600 hours of continuing education and received countless accolades for his efforts, including being honored by the Gwinnett Chamber of Commerce as 2014’s Physician of the Year. With him, you can always trust that your smile is in the very best of hands. 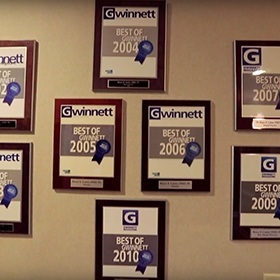 At Transforming Smiles, our team is proud to have been honored by Guide to Gwinnett as one of the best dental practices of Gwinnett County over 10 times since 2002! Every member of Dr. Carter’s staff shares his passion for putting the patient’s best interests first, which includes listening to their concerns in detail, putting together personalized treatment plans, and helping them feel right at home throughout every visit. We hope to form a relationship with you and your family that will hopefully last for years to come. Dr. Carter has many areas of clinical interest when it comes to oral healthcare, but cosmetic dentistry is one of his true passions. He has seen firsthand how a beautiful, confident smile can help his patients live healthier, happier lives! 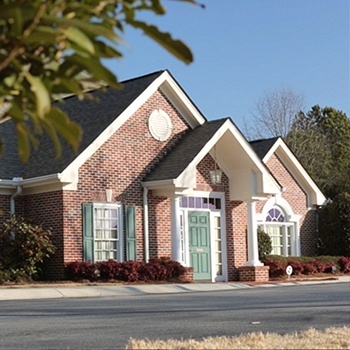 In order to offer the highest levels of artistry and quality possible here in Lawrenceville, he has completed extensive advanced training with some of the most prestigious dental institutes in the world, including the Pankey Institute for Advanced Dental Education. Whether you’re hoping to correct a minor blemish or are interested in a complex, comprehensive makeover, he can’t wait to make your smile goals and dreams a reality. Brighter Smiles for Brighter Futures is a teeth whitening program where a patient makes a donation in lieu of paying for dental services. Then, a volunteer dentist provides the service to the patient with no compensation for the services. 100% of the patient’s donation goes to the foundation. 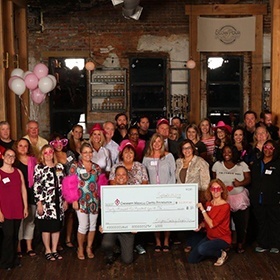 Proceeds from the 2016 campaign went towards new 3D breast imaging equipment for Gwinnett Medical Center.